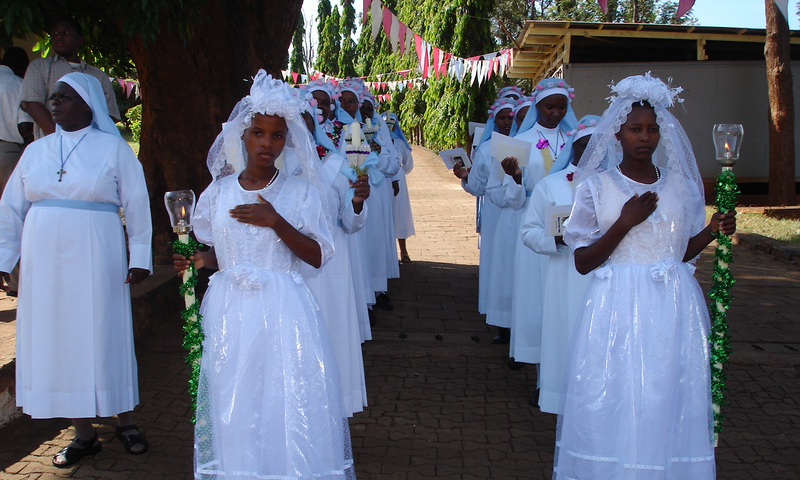 We invite you to the official website of the Catholic Diocese of Tanga in Tanzania, East Africa. WEBSITE. IT IS YOUR WEBSITE! Our goal is to increase the capacity of knowing each other and continue to collaborate closely as God�s own children. We have made the effort to collect as much information as possible to craft the identity of our diocese and share it with you. Navigating through the pages of this website, you will be able to know the history of our diocese past and present as well as the current composition of the diocese including her various institutions, personnel, diocesan structures, and our vibrant lay community. Religious books and magazines, liturgical vestments, tasbii, pictures, audio and video cassettes and cds have special effects in the evangelization of the word of God. For a long time these things were not available in the diocese, people had to travel to Moshi or Dar to buy them. In solving the above problem Bishop Anthony Banzi decided to start a Diocesan bookshop. After getting enough money, he started to reconstruct the building which was formally bishop’s office. In February 2, 1997 the shop was opened named St. Anthony’s Bookshop. In the year 2003 the shop was shifted to another build, youth building, near Tanga Post Office. A lot of problem of getting Altar wine, bible, liturgical vestments etc can now be solved by visiting this shop. The shop offers a good service to a good number of Christians in the diocese Catholics and non-Catholics. Young Catholic Students – TYCS is an evangelical group of Students who are in the Secondary Schools and Colleges. TYCS gives the Students courage to investigate their surroundings as Students in their Schools, Colleges and in the community. Also TYCS stimulates the Students to rise up their talents by the use of Spiritual studies, seminars, contemplation of the Word of God and writing their view in the TYCS magazine. TYCS joins Students starting from the simple group found in the school, and later in the deaneries, Diocese and National wide. TYCS brings forward the Students in their main task of evangelization of the Word of God wherever they are as Students. Also it encourages young boys and girls to join in the Priestly and Religious Vocation and prepare them to be good leaders in any sector in the Church as well as in the Country. TYCS was started by Fr. Gerald Smith in the year 1970 in St. Anthony Cathedral Tanga. Since 1976 Fr. James Kweka has been the Patron of TYCS. In 1994 Fr. 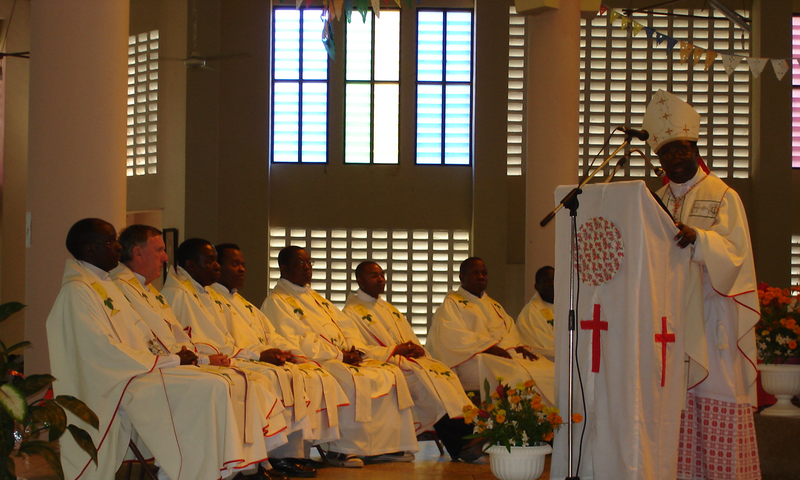 Titus Mdoe took his position as Patron of TYCS and Vocational director up to 2006 where his position was taken by Fr. John Zuakulu. 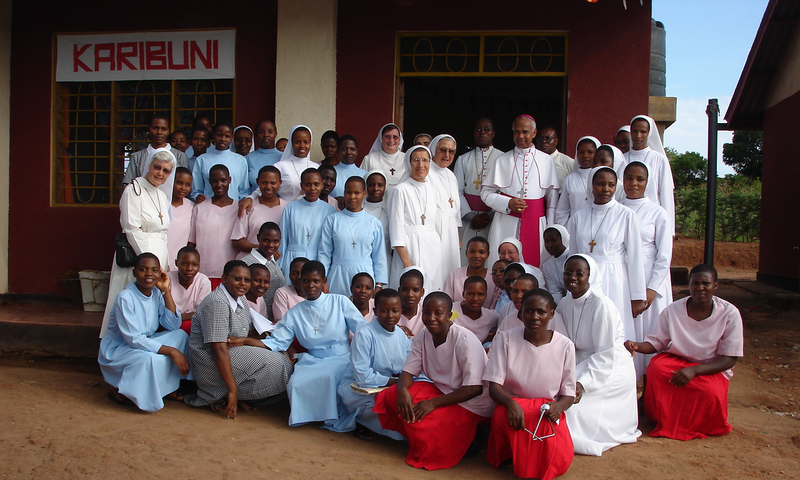 TYCS is found in almost all Schools and Colleges in Tanga Diocese . TYCS has done a lot in Schools and Colleges by bringing the Students together showing their talents, knowing each other and forming good choirs in the Church, football and netball teams, entertainment groups and best drama groups. 5 . 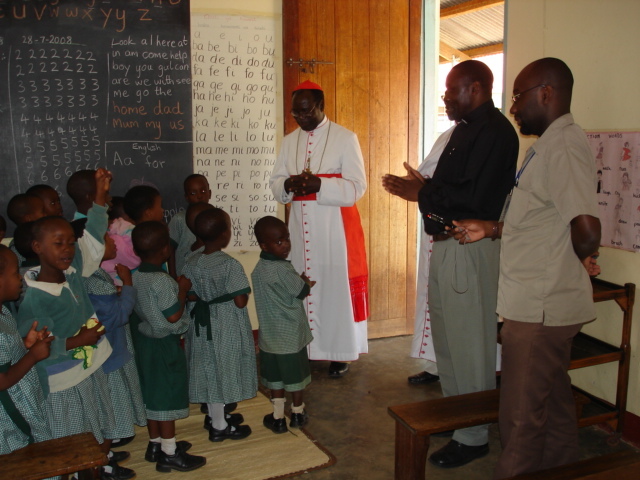 Catechetical School for Congregation of Our Lady of Usambara(COLU). Shirika la Mapendo lilianzishwa mwaka 1828 na Mwenye Heri Antonio Rosmin. Huyu alikuwa Mwana Falsafa liyejulikana sana. Mwaka 1932, nyumba ya Malezi ilianzishwa huko Ireland. Nyumba hii ikawa chachu ya Miito mingi. Mwaka 1938 Chuo kilichopewa jina la Rosmini kilifunguliwa huko Roma. Jumuia ya Warosmini ilianza kukua. Walifanya kazi huko Thailand. Mwaka 1942 walishauriwa kuelekeza utume wao Barani Afrika. Kwa kupitia Vikarieti ya Kilimanjaro chini ya Mhashamu Askofu Joseph Byrene hatimaye mwaka 1945 Warosmini wakwanza waliingia Tanganyika. Wawili kati yao ni Pd. Walter Dich na Pd. Francis Kennedy. Warosmini waliofika Kilimanjaro walipewa kwanza jukumu la kufundisha Chuo cha Singachini huko Moshi. Pd Walter akawa Mkuu wa Chuo. Mapadre wengine walifuata baadaye. Mhashamu Askofu Joseph Byrne aliwatuma Warosmini wafanye kazi Tanga. Hatimaye Pd. Eugen Arthurs aliteuliwa kuwa Prefekti wa Kitume Tanga ilipokuwa Prefectura, na baadaye akawa Akofu wa Jimbo la Tanga mwaka 1958. Makao makuu ya Shirika la Warosmini katika Afrika Mashariki yapo Mwambani hapa Tanga. Makao makuu Kiulimwengu ni Monte Calvario huko Domodossola katika kingo za Milima ya Alps kwenye mpaka kati ya Italia na Uswisi. Shirika hili limesambaa mahali pengi Duniani. 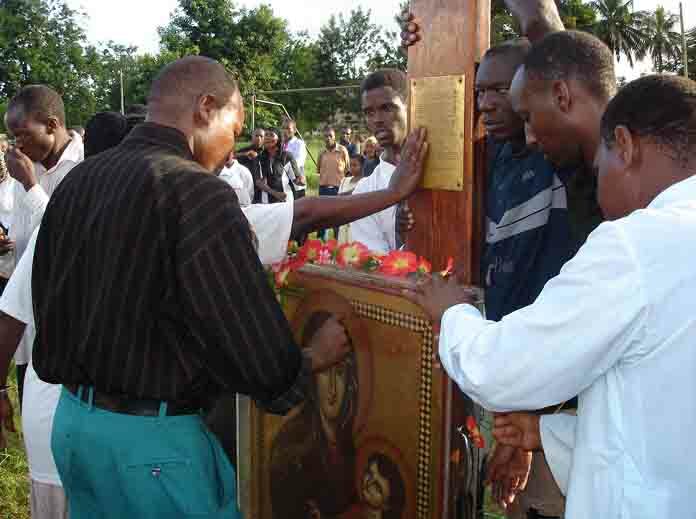 It was on the 6th day of December 2006, when the youth group of Tanga Diocese received the The World Youth Cross from youth group of Same Diocese. The cross stayed one day in our land of Tanga, and left to Bagamoyo Morogoro Diocese. The cross spent the night at Kilole parish. The night was full of different activities, special prayers to the cross, songs and drama from different youth groups. 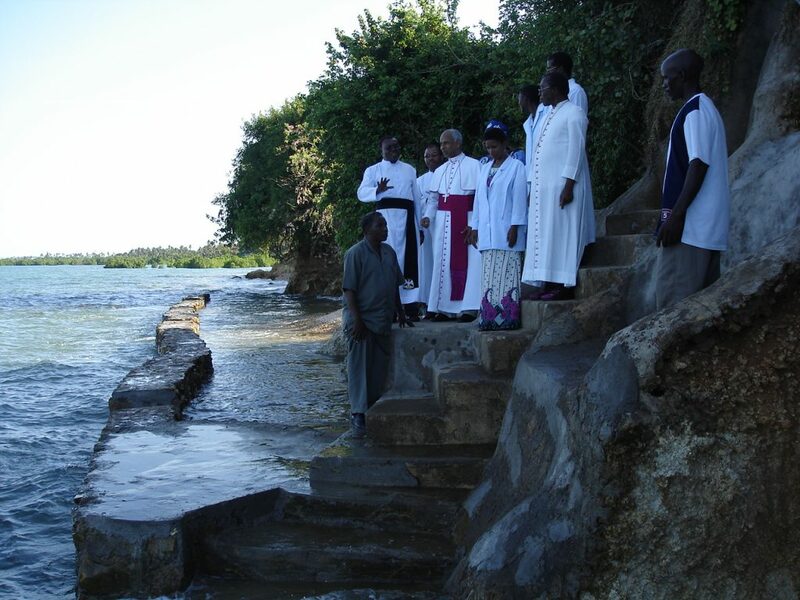 On the second day, 7th day of December, 2006 Bishop Anthony Banzi, bishop of Tanga Diocese, led a group of young people in a special prayer and mass before sending the cross to Manga the boarder of Tanga region and Pwani Region, which was handed over to Morogoro Diocese. Really they are unforgettable days to the Youth Groups of Catholic Diocese of Tanga. We hope and believe that all places where the cross passed left something special, the faith of the people increased Christians and non Christians. People admired, surely Christ touched a lot of people and spoke to them and hilled their wounds. The cross passed through various Parishes including Mazinde Ngua, Mombo, Manundu and Kilole where they spent the whole night. Almost 500 youths attended the cerebrations from various Parishes including:- St. Anthony, St. Mathias Mulumba – Usagara, St. Theresia, St. Peters – Pongwe and Muheza both from Tanga Deanery. Also Sakharani Parish, Mazinde Ngua attended the cerebration. Furthermore Manundu Parish, Mombo Parish, Hale Parish, and Kilole Parish from Korogwe Deanery attended. Lastly were Kabuku Parish and Handeni Parish from Handen Deanery. The Right Rev. Bishop Anthony Banzi, was born on 28th October, 1946 in the village of Mangoja, at Tawa Parish, Morogoro. He got Primary education in the Lukenga Primary school. In 1960 he joined St. Peter Junior Seminary, Bagamoyo and later St. Charles Junior Seminary Itaga, 1965-1967. In 1968-1969 he joined Kibosho Major Seminary for Philosophy and later Kipalapala Senior Seminary for Theology in 1970-1973. He was ordained priest on 29th July, 1973. He was appointed Bishop of Tanga on 24th June, 1994 and consecrated Bishop of Tanga on 15th September 1994. 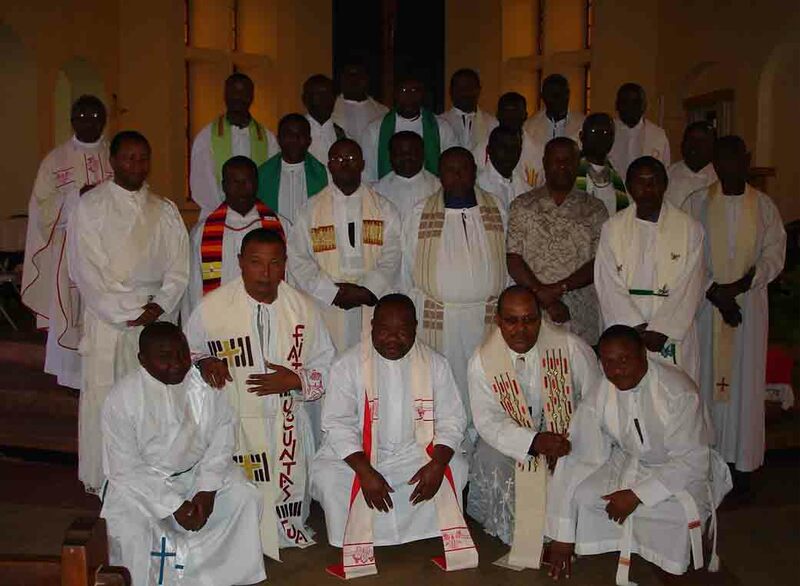 Before consecrated a Bishop of Tanga, he worked as Assistant Parish Priest in Mlaki, Msongozi, Mtombozi, Matombo and as a Parish Priest at Maskati Parish. In 1976 he was the Treasurer General of Ntungamo Major Seminary, Bukoba. In 1976 – 1981 he was in Innsbruck, Austria for further studies where he came out with (Ph.D). From the year 1981 – 1982 he was a Chaplain of Turiani Hospital and then a Parish Priest of Mandera Parish. 1981 – 1985 he was a Treasurer General of the Diocese of Morogoro. 1985 – 1987 he was a Chaplain of Bigwa Secondary Morogoro. 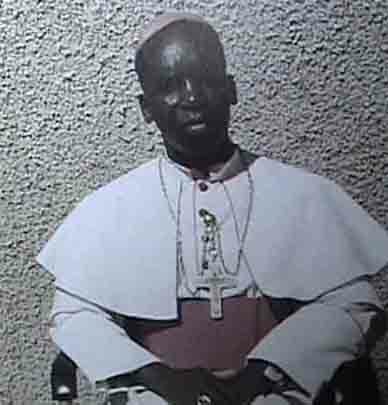 1988 – 1991 he was again in Ntungamo Major Seminary as a Rector. 1992 Father Anthony Banzi was apointed a Rector of Kibosho Major Seminary, Moshi, where he worked up to 1994 when he was appointed Bishop of Tanga. The Right Rev. 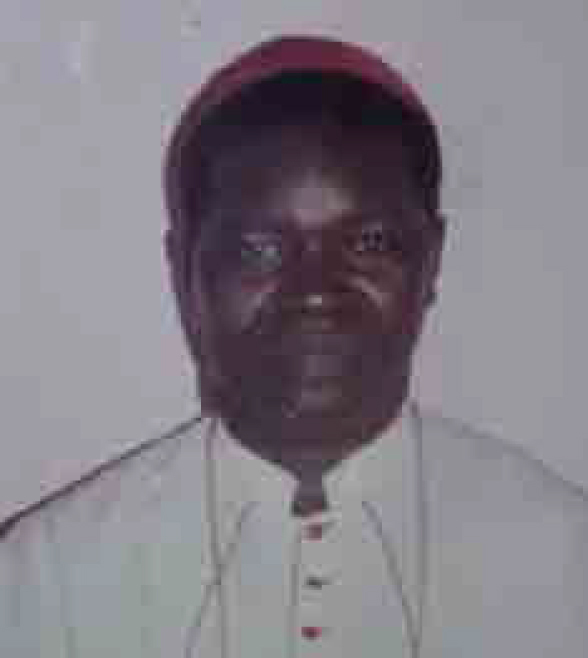 Bishop Telesphore Mkude, born on 30th November, 1945 at Pinde Village in Mgeta Parish, Diocese of Morogoro. Ordained Priest on July 16th, 1972. Consecrated Bishop of the Diocese of Tanga on 26th April 1988 and appointed Bishop of Tanga on 28th January 1988. 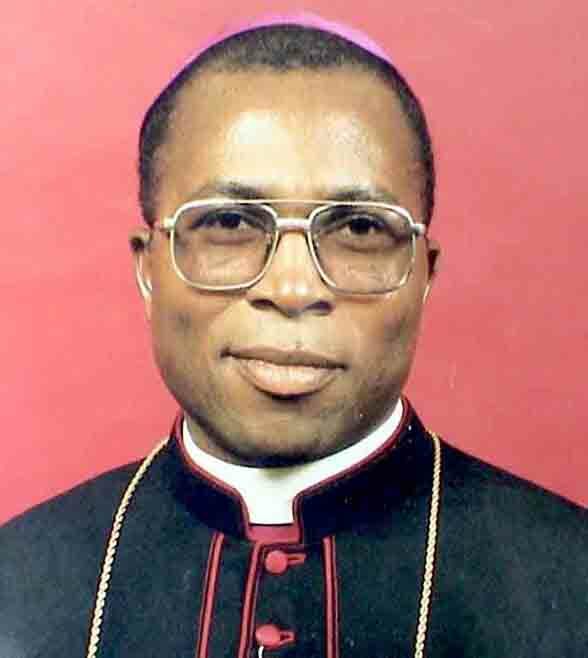 He was later named Bishop of Diocese of Morogoro on 19th April 1993 and installed on 13th June 1993. Now, he is the bishop of Diocese of Morogoro. The Most Rev. 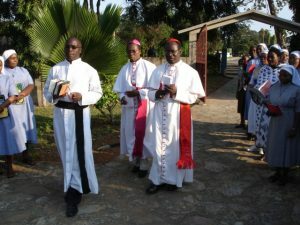 Bishop Maurus Komba was the first African Bishop in Tanga after Bishop Eugene C. Arthurs, I.C. He was born in 1923 at Mitambotambo village in Mbinga District, Ruvuma Region. He got his primary education in Litembo Primary School and joined Peramiho and Kigonsera for secondary education. Later he joined Peramiho Senior Seminary for Philosophy and Theology. He was ordained priest in 15th of July, 1954. As a Priest he worked as Parish Priest of Mbinga, Mkumbi and Mbangamao in the Diocese of Mbinga later as a Parish Priest of Peramiho and Songea in the Diocese of Songea. He was appointed by Pope Paul VI as a Bishop of Tanga in March 1969 and consecrated Bishop of Tanga in 15th of March, 1970. He served the people of Tanga Diocese for 18 years. Because of his health which was no more good, in the year 1987, he retired and went back to his Diocese of Mbinga. He died in 15th of March, 1996 and was buried in the Church of St. Alois Gonzaga Parish, Mbinga. The Most Rev. 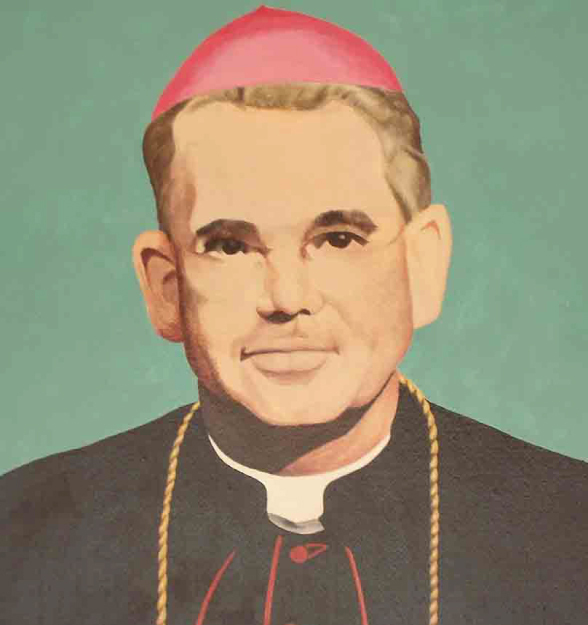 Bishop Eugene C. Arthurs, I.C. ; was born at Keady, in the Archdiocese of Armagh, on April 8th, 1914; ordained at St. Michael’s, Co. Louth on March 20th, 1943; appointed Prefect Apostolic June 9th, 1950, consecrated Bishop of Tanga Diocese on August 28th, 1958 and enthroned on April 12th, 1959. He served the Church at Tanga for 10 years. He retired because of heart disease.